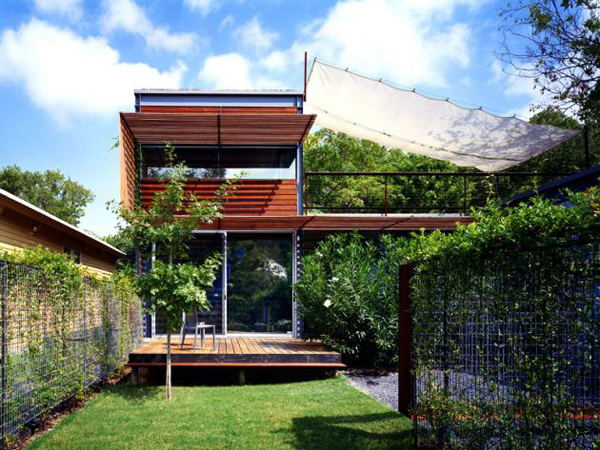 The house was built for two families in Austin and therefore is split into two living areas. 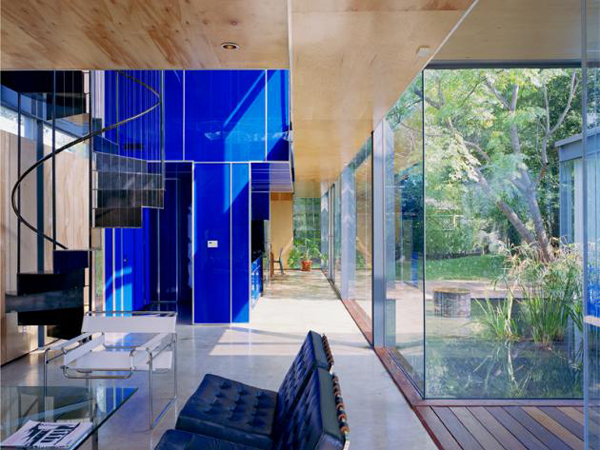 The house consists of two pavilions connected by a glass hallway. The design was greatly influenced by different regions and cultures. 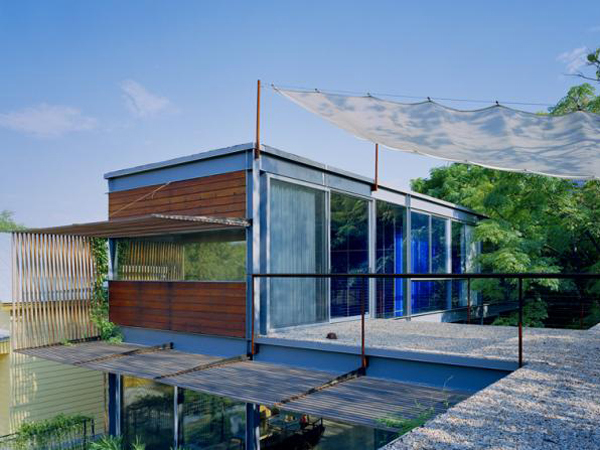 Both the use of the roof as an outdoor living space and the shading devices are derived from Moorish architecture. 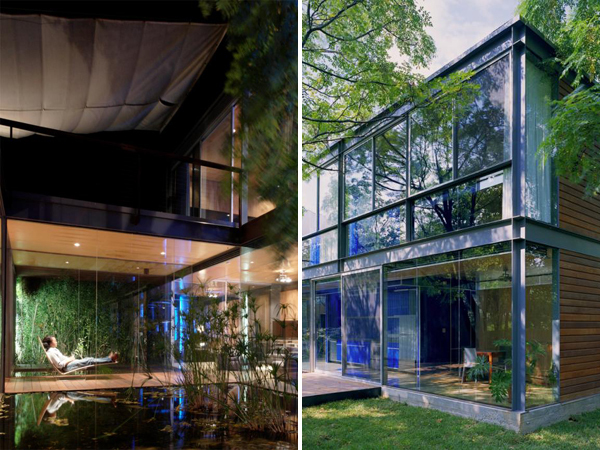 The body of water and the spatial continuity between inside and outside was inspired by Asian architecture, while the structural transparency of the volumes and the minimalist aspect of the interior was derived from Japanese pavilions.